Most of us will never step into a dog shelter. Most dogs will never step out. Please meet some of our rescue dog heroes. 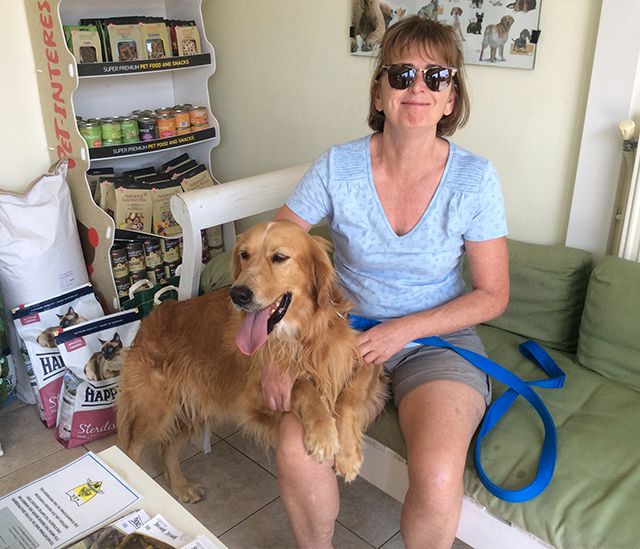 In August 2016 Tony Golden’s family, without a dog of their own, had been looking to offer a rescue dog a home. When Tony saw Alfie’s picture on Facebook he contacted Starlight Barking and by November 2016 lucky rescue retriever Alfie was on his way to England. Tony and wife, Tania, run Manchester Dog Care, a model doggie day care, where well-mannered and loved dogs play freely, have the time of their lives and, if required, stay overnight sleeping on sofas – never kennels. Alfie became an immediate hit with Tony’s canine guests and their owners commented, it was hard to believe Alfie was a rescue dog. But Alfie is typical of many lovely dogs stuck in shelters, especially in Greece. Hunters are notorious for dumping their dogs and at the end of the tourist season many workers return to their homes, leaving their dogs to fend for themselves. It’s a sad fact of life that the average life of a street dog in Europe is two years – if they aren’t run over, then they rarely survive the random poisonings or worse. 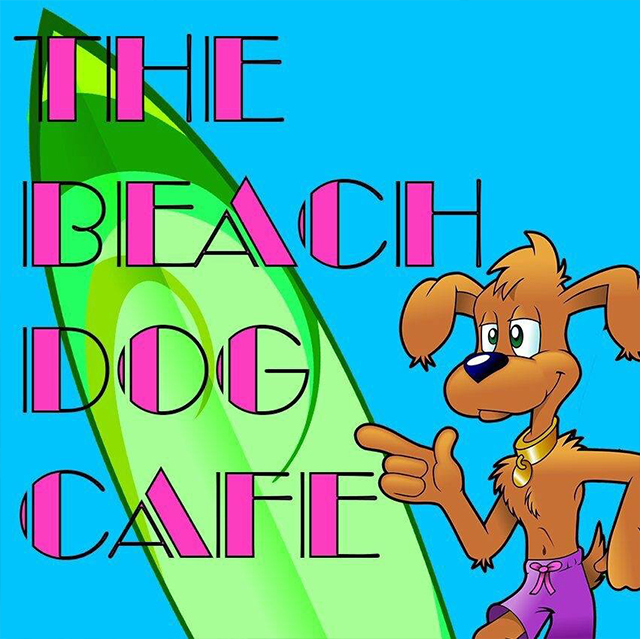 Tony wanted to give some other shelter dogs a chance and when he opened the Doggie Beach Café he offered Starlight Barking foster places to help more dogs like Alfie. A place where a rescue dog can relax, be themselves and potential families see their real personalities. 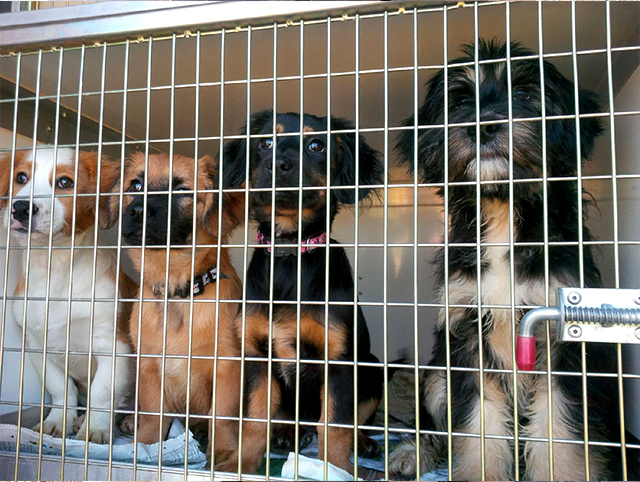 We can’t change the world – but we can change the world for a few lucky dogs. Tony’s idea is unique and we hope will expand to help rescue dogs everywhere. Our Greek dogs are all health-checked and blood tested over and above the standard DEFRA requirements. Their passports and travel are sponsored by our growing network of supporters. It’s one of the best investments of your life watching your donation transform the life of these rescue dogs as they leave the shelter and make their journey unaware of their new life awaiting them. Some of our rescues have even gone on to become therapy dogs helping children, the elderly and sick. 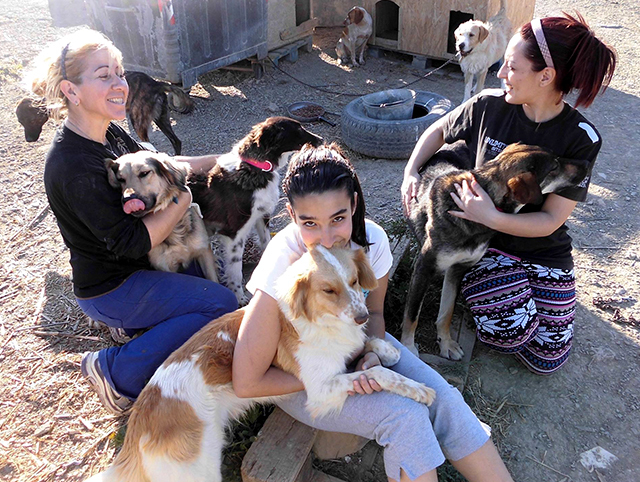 We work with some amazing volunteers in Greece, where the shelters are overflowing. It’s a difficult task for them choosing which dogs get their lucky break, as we only have a few spaces each month and we need to make space for British rescue dogs too. There are many tears from the volunteers as they watch their babies, who they’ve cared for over several years, leave and even more when they see them re-homed. But this time it’s tears of happiness. 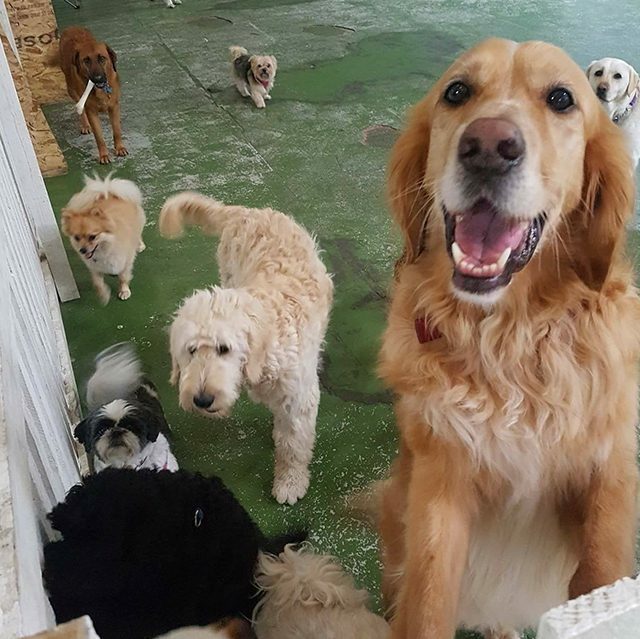 After getting them to Athens, Julia and her wonderful team at Animal Couriers take over. 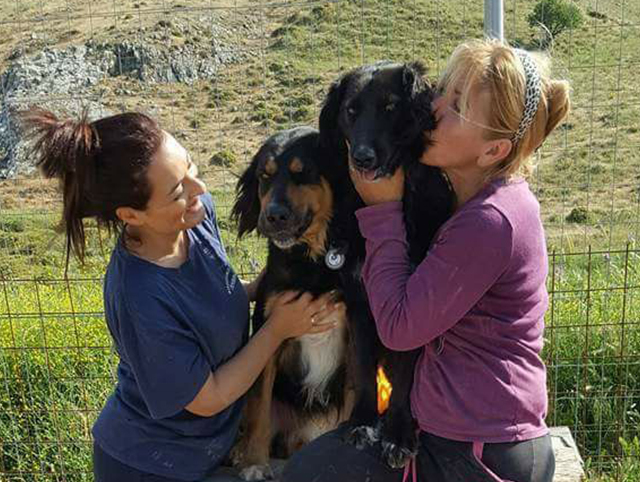 Whether our dogs fly, or take the overland trip via Italy, in their comfy, custom made air-conditioned doggie transporter with CCTV, Julia and her team plan every step of the journey with the dogs in mind. With rest stops and one-to-one time every 3 hours, plus an evening walk at their overnight hotel, by the time they arrive in Manchester they are actually surprisingly chilled, considering all these new experiences. This is all down to Julia who, like Tony, is an experienced and gifted dog behaviourist and only engages like-minded people. 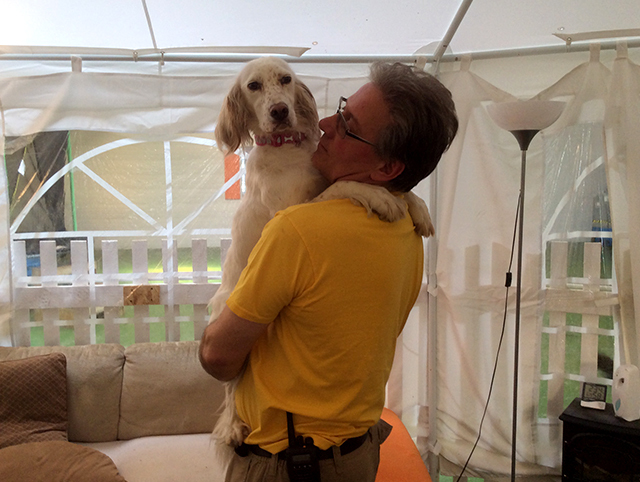 In Manchester our dogs are all personally welcomed by Tony and that’s when the magic starts. Integrated with lots of happy, loved, day care dogs the foster dogs soon learn the house rules. Tony has that special gift of working out individual dogs’ personalities and needs. 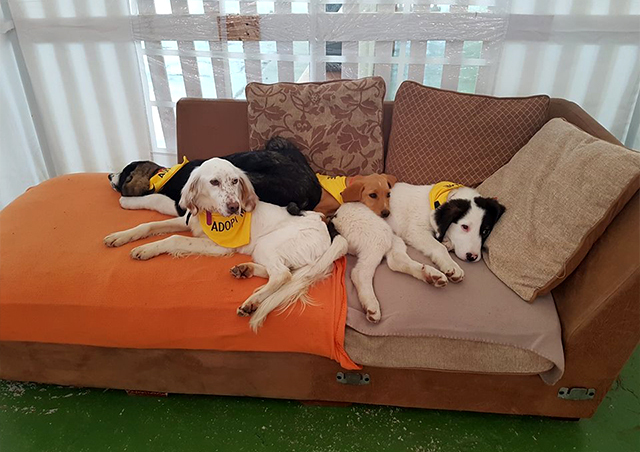 Within a couple of weeks the dogs are settled and ready to meet potential new owners – proudly wearing their ‘Adopt Me’ bandanas as they mix in the relaxed atmosphere with customers of the Doggie Café. After a couple of visits where a family match looks likely, a home check is arranged, followed by a sleep-over with the potential new family. If this is successful, for both the dog and family, then Starlight Barking’s Fiona arranges all the adoption paperwork. We ask £350 adoption donation, which goes to help the next dog get out of the shelter. 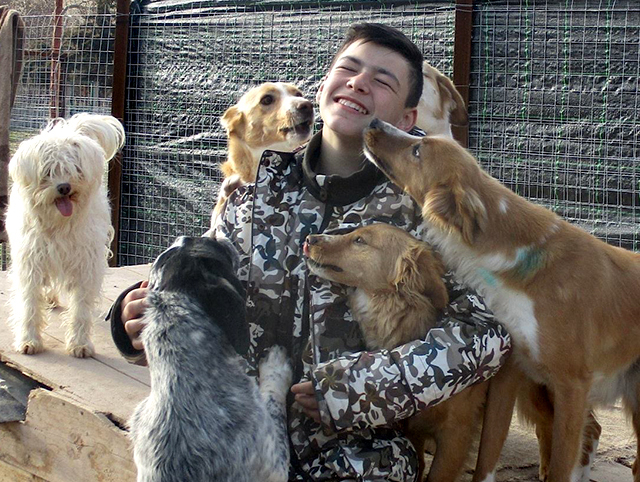 Several of our adoptive families have felt so overwhelmingly fulfilled with their own rescues, they wanted to help even more, and have generously sponsored more dogs. As with any new dog, the settling in period can have its challenges. It seems the worst experience for most rescues is separation anxiety. They’ve finally found someone to love them and even the quickest trip, by new owner, to the shop brings out all their insecurities to the point where they start wrecking the house. But Tony and Fiona are just a phone call away with helpful advice to get through any teething problems any rescue might have. 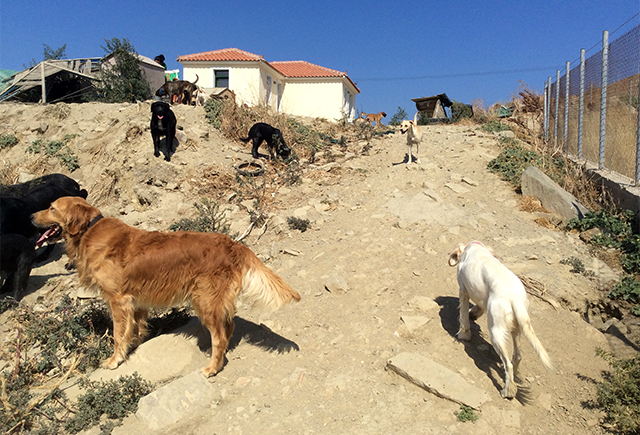 In June this year we went up to Manchester to visit some of our Greek rescues who’ve now found loving homes. 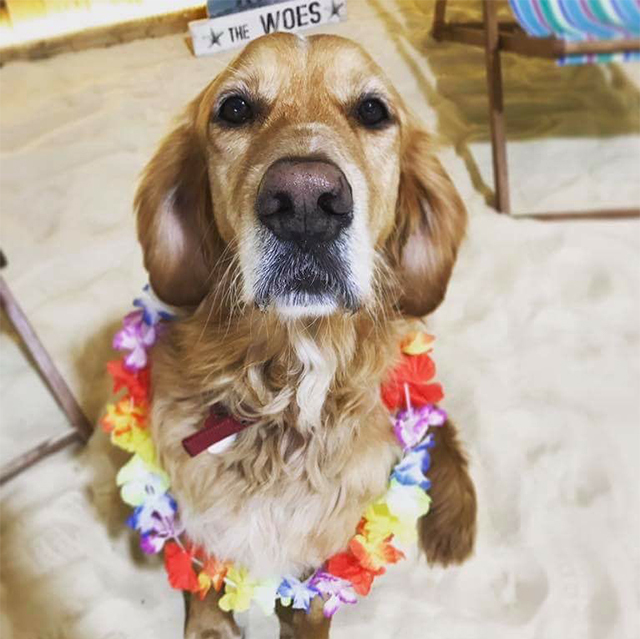 Please meet rescue dogs: Alfie, Irina, Bruno, Benny, Ella, Lola, Lula, Cia and Tony’s lovely team at the Beach Dog Café.